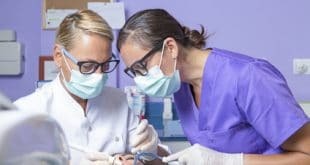 Home / Dental Assistant / Dental Assistant Jobs / What is the Salary for a Dental Assistant – and Which State Pays the Best? You may be under the impression that every worker behind the scrubs in the dentist’s office is a dentist or a dental hygienist. 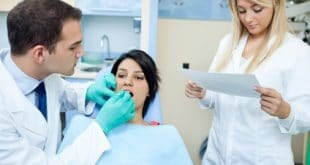 While some are, the other professionals assisting with running the office and performing some aspects of patient care are actually dental assistants. If you are interested in knowing what dental assistants do, and what their salaries are, read on. Dental assistants perform many tasks, ranging from patient care and taking x-rays, to office management and scheduling appointments. Their duties vary by state and by the individual dentists’ offices where they work. Assistants who perform lab tasks, such as making casts of a patient’s teeth, work under the direction of a dentist. They sometimes prepare materials for casts of teeth or to create temporary crowns. Depending on their licensing and certification, dental assistants might help with fluoride and sealant applications, and polishing teeth and dentures. According to the U.S. Bureau of Labor Statistics, the need for dental assistants is projected to grow 25 percent over the period of 2012 to 2022, which is faster than the average for all other occupations. This is because research linking oral health to general health will probably continue to raise the demand for preventive dental services. As dental practices grow, dentists will need more dental assistants to perform routine tasks on the increased patient flow. Because the large baby-boom population is living longer than any previous generation, and as people keep more of their original teeth into their senior years, the need to maintain and treat teeth will continue to increase the need for dental care. In addition, federal health legislation is expected to expand the number of patients who have access to medical and dental insurance, thus increasing demand for all dental services, including those performed by dental assistants. A dental assistant’s salary depends on a variety of factors, but the three biggest are geographical location, experience, and the dentist’s or companies discretion. A registered or certified dental assistant’s salary is often higher than those who are not because certificated assistants have undergone more intensive training and rigorous testing than those without certification. Individual dentists or companies also hold influence over the degree of interaction that a dental assistant has with patients and how much they are willing to pay. The pay scale for dental assistants ranges from about $24,220 to $48,350. In 2013, the average pay for dental assistants was $35,640, and the median pay was $34,900. The median wage is the wage at which half the workers in an occupation earned more than that amount and half earned less. Wages at the state level will reflect the differences in the cost of living which tend to follow geographical location and other factors. Locations on the east and west coasts as well as the northeast often pay more than the south. Dental assistants with the highest salaries lived in the metropolitan areas of Manchester, New Hampshire; San Francisco, California; and Haverhill, Massachusetts. West Virginia and Mississippi offered some of the lowest average hourly wage numbers at $11.92 and $12.86. Simply contact us if you would like to know more about the salary of a dental assistant, or how to become one. 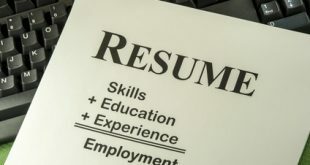 Previous What is a Dental Hygienist’s Job Description?